Nasonovia ribisnigri apterae on the primary host (gooseberry and blackcurrant, see first picture below) are shiny green with no dark markings. On their secondary host (various members of the daisy family) Nasonovia ribisnigri apterae are more variable in colour, ranging from green to yellow or pink, and have dark intersegmental sclerites between each abdominal segment (see second picture below). The length of the terminal process is 7.0-11.4 times the length of the base of the antennal segment VI (cf. Nasonovia pilosellae which has the length of the terminal process 3.4-8.3 times longer than the base). The first segment of the hind tarsus has three hairs. Nasonovia ribisnigri siphunculi are pale with dark tips. They are at least as long or longer than the cauda and taper slightly. The cauda is finger shaped, not constricted and the same colour as the basal part of the siphunculi (see micrograph of an aptera in alcohol below). The body length of Nasonovia ribisnigri apterae is 1.3-2.7 mm. The micrographs below show the aptera from the primary host, secondary host, and alate, in alcohol. The clarified slide mounts below show clearly the difference between the apterous viviparous adult female Nasonovia ribisnigri on the primary host (first) and on the secondary host (second). The third micrograph below shows an alate Nasonovia ribisnigri. The currant - lettuce aphid overwinters in the egg stage on blackcurrant or gooseberry bushes. 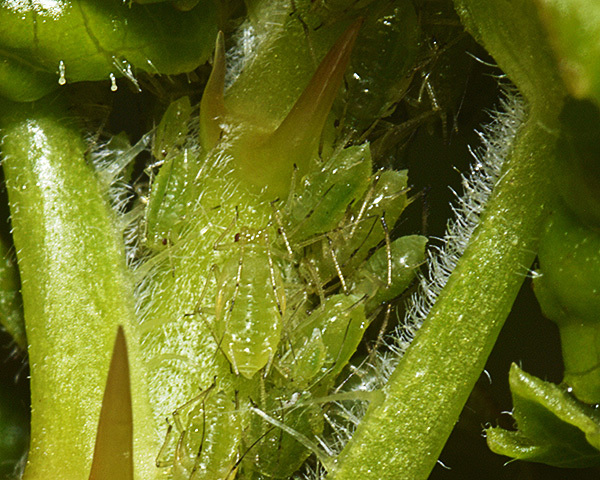 These eggs hatch in spring, and the nymphs then form small colonies on the tips of young shoots as shown in the picture below. These young aphids aggregate closely, and their feeding activity crumple the young leaves. 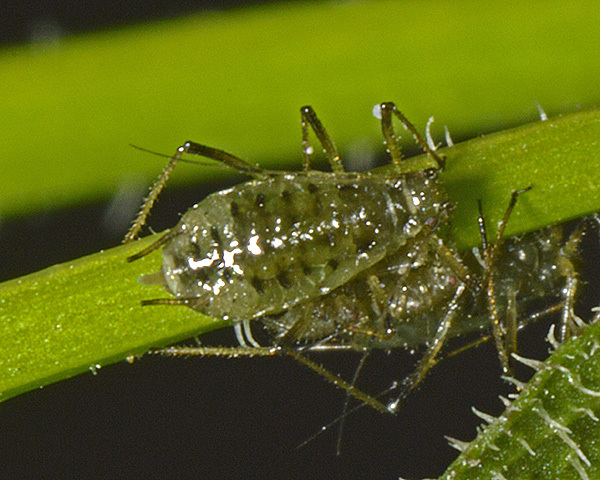 When the aphids mature (see below for pictures of adults on the primary host) they tend to disperse more widely over the plant and establish new colonies on any unoccupied young shoots. As colonies get denser in May or June, they give rise to winged aphids which migrate to lettuce and other Asteraceae (Compositae). The picture below shows an alate Nasonovia ribisnigri taking off from its primary host. These alates migrate to a wide range of Asteraceae, but it is the migration to lettuce (see picture below) that makes this species one of the more damaging aphid pests. Reinink & Dieleman (1993) studied the aphids found on lettuces at 11 sites in Czechoslovakia, UK, France, Germany, Netherlands and Switzerland during 1990-91. In both years Nasonovia ribisnigri was the most common aphid species, followed by Macrosiphum euphorbiae, Pemphigus bursarius, Uroleucon sonchi and Myzus persicae. Successive generations are produced on these summer hosts until September or October. 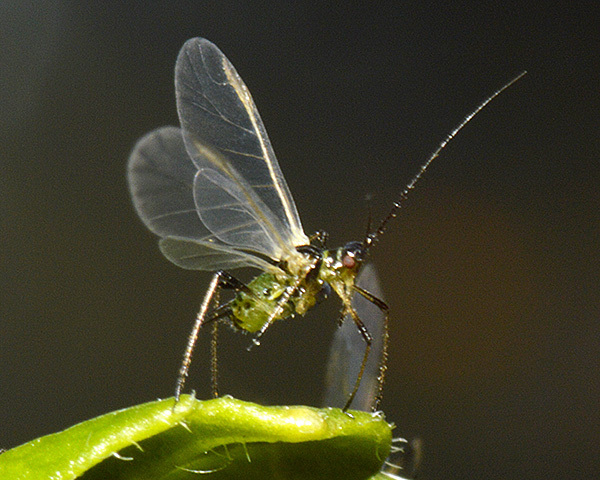 During October and November, winged aphids migrate back to the winter hosts, where eggs are laid. 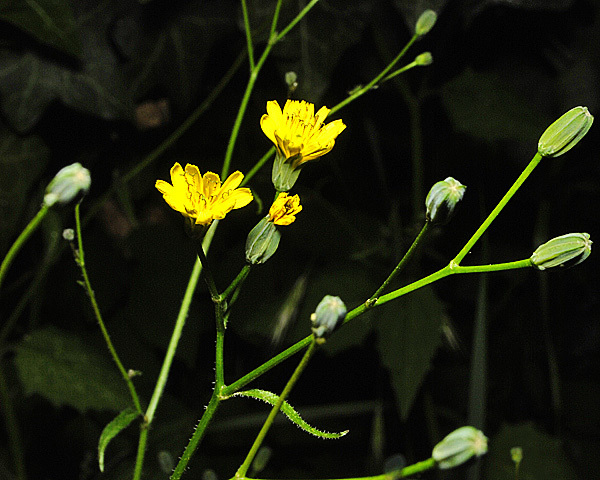 In southern Britain mobile stages can survive and slowly reproduce on outdoor lettuce, nipplewort (see picture below), chicory, hawkweed and speedwell throughout mild winters. Diaz & Ferreres (2005) determined age-specific life tables of the lettuce aphid, Nasonovia ribisnigri feeding on lettuce at different constant temperatures under controlled conditions. Bromley & Anderson (1982) looked at the role of olfaction in host finding by Nasonovia ribisnigri. Electrophysiological recordings were made from the rhinaria on the aphid's antennae. Over 70 volatile chemicals were screened for neurophysiological activity. The primary rhinaria appeared to be general odour receptors, not specific to any group of chemicals, although it is suggested that detecting terpenes could be one of their more important functions. 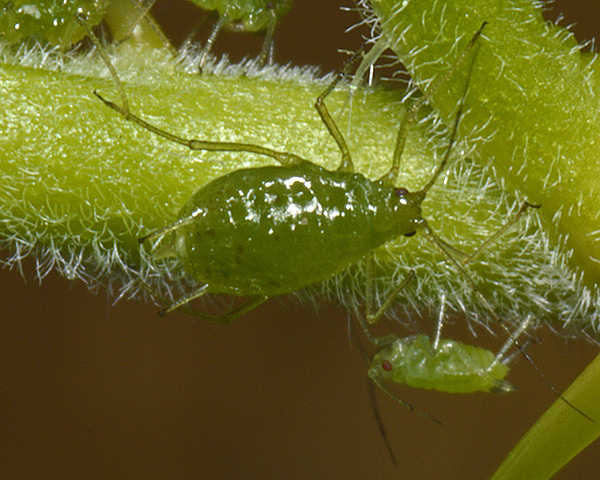 The rhinaria on the fifth and sixth antennal segments responded antagonistically to terpenes, potentially enabling the aphid to perceive concentration gradients. Diaz et al. (2012) looked at host colonization and interplant movement by Nasonovia ribisnigri. 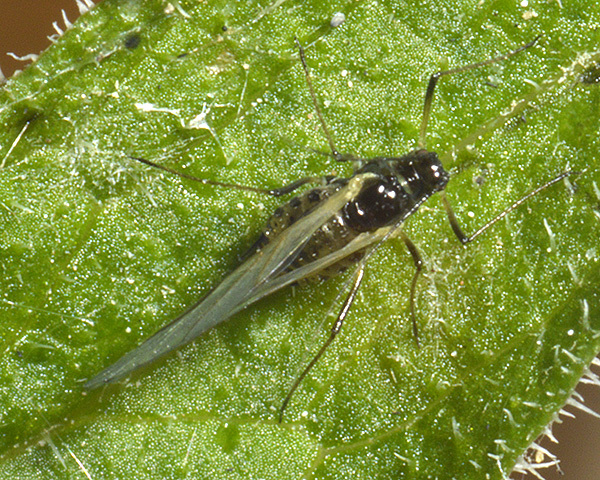 Populations were initiated in experimental microplots with the release of either five apterous or five winged aphids. These populations monitored for 21 days after release. Experiments were run in both spring and autumn. The population size of Nasonovia ribisnigri was greater in the autumn than in the spring growing seasons due to milder temperatures. 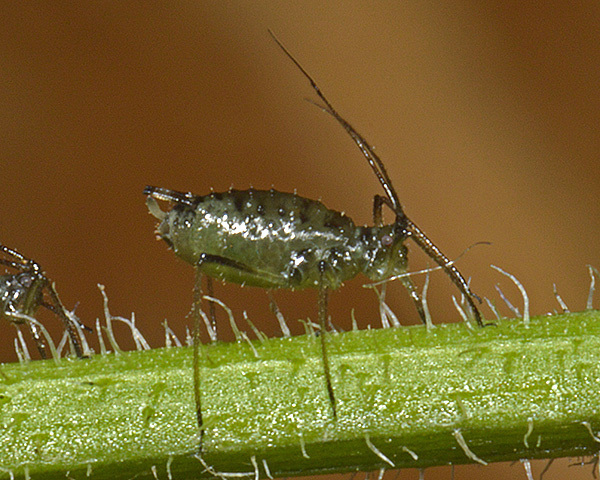 Nevertheless the percentage of plants colonized by aphids was higher in spring than in autumn, showing the great dispersal potential of this aphid species. 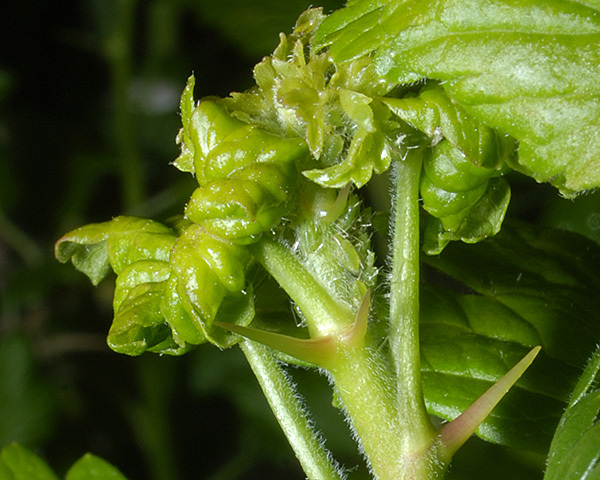 Differential propensity for initial displacement from the central plant was observed between adult morphs in spring, resulting in a greater ability of apterous than alate aphids to spread far away from the source plant. These results highlight the ability of the apterous Nasonovia ribisnigri to spread within greenhouse lettuce crops early in the spring, suggesting that detection of the pest by visual inspection is required after lettuce emergence. Liu (2004) looked at the distribution and population development of Nasonovia ribisnigri in iceberg lettuce in the field. Lettuce plants were caged individually in the field and inoculated with apterous Nasonovia ribisnigri at 0, 1, 2, 3, and 4 weeks after transplanting. Plants were harvested 15-50 days after aphid inoculations. During all five weeks of plant development these inoculations resulted in successful colonization of lettuce heads. Head formation did not reduce the risk of colonization by lettuce aphid to iceberg lettuce; plants were susceptible to colonization throughout their development. For later inoculations, the resulting populations were relatively smaller, and aphids were found mostly within the heads. For earlier inoculations, populations were larger, and within-plant distributions shifted toward frame leaves. Nasonovia ribisnigri has been recorded from 22 Ribes species. 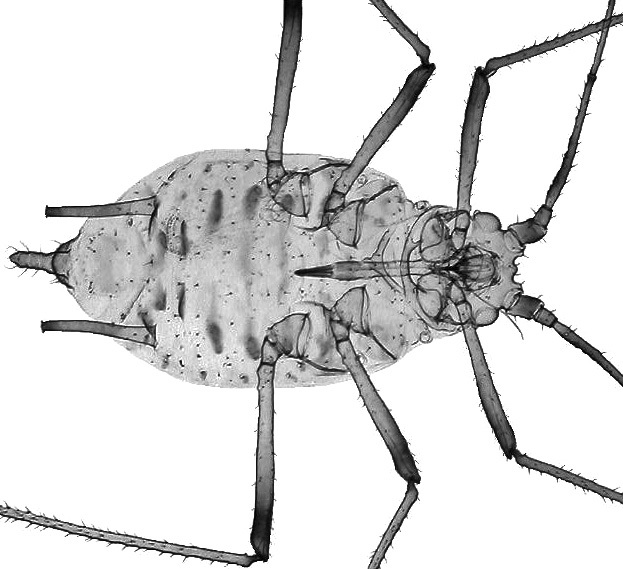 Of those aphid species, Baker (2015) lists 16 as occurring in Britain: Aphis fabae, Aphis grossulariae, Aphis oenotherae, Aphis schneideri, Aphis triglochinis, Aulacorthum solani, Cryptomyzus galeopsidis, Cryptomyzus korschelti, Cryptomyzus ribis, Eriosoma grossulariae, Eriosoma ulmi, Hyperomyzus lactucae, Hyperomyzus pallidus, Hyperomyzus picridis, Hyperomyzus rhinanthi, and Nasonovia ribisnigri. 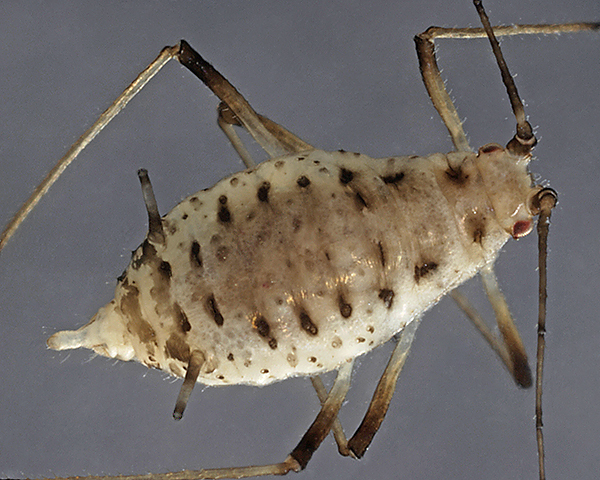 The aphid Nasonovia ribisnigri is a pest on both its winter and its summer host. On its winter hosts Ribes spp. it is only a minor pest, causing leaf curl and retardation of growth. But in mid August/September it is the most important foliage aphid on lettuce. Rapid development of colonies on lettuce causes plants to become stunted and unpalatable, indeed even small numbers can contaminate plants and affect marketability. In some cases large populations on young plants may prevent 'hearting'. As well as direct feeding damage, damage can be caused by virus transmission. This species acts as a vector of Gooseberry vein-banding virus, but apparently cannot transmit Lettuce mosaic virus (Nebreda et al., 2004). Nasonovia ribisnigri has traditionally been controlled by the use of insecticide. 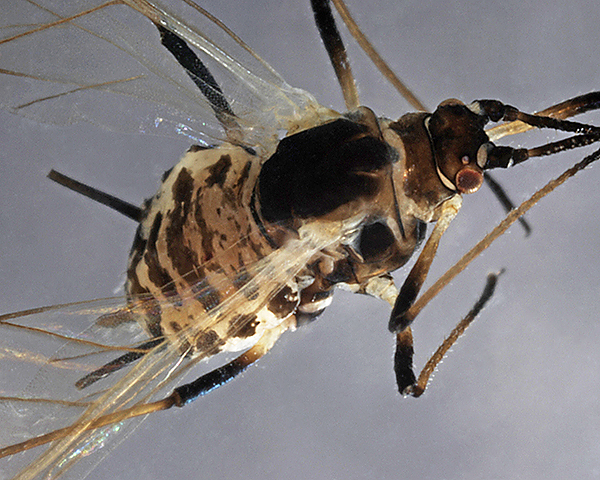 This led to the development of widespread insecticide resistance in Europe and elsewhere. Rufingier et al. (1997) first reported high levels of insecticide resistant in France and Spain. The highest resistances recorded were 680-fold for endosulfan, 26-fold for deltamethrin, 62-fold for pirimicarb, 46-fold for methomyl, and 11-fold for acephate. Rufingier et al. (1999) investigated the mechanisms of resistance to pirimicarb and endosulfan. Resistance to pirimicarb was shown to be mainly due to a decreased sensitivity of their target enzyme, acetylcholinesterase. This modification also conferred resistance to propoxur, but not to methomyl and the two tested organophosphates (acephate and paraoxon). Endosulfan resistance was associated with a moderate level of resistance to dieldrin. Resistance to both insecticides was due, in part, to increased detoxification by glutathione S-transferases. 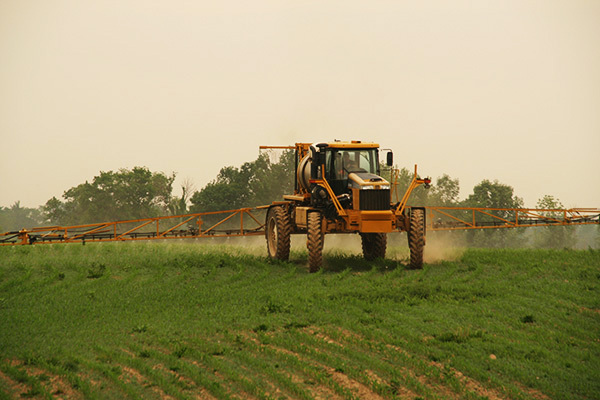 The picture below shows a modern sprayer being used to apply insecticide to corn. 1264 Rogator Spraying Corn by Pl77. Licensed under CC BY-SA 3.0 via Commons. In Britain Barber et al. (1999) found widespread but varied levels of resistance to pirimicarb, lower and also varied resistance to pyrethroids and organophosphates, but no significant change in response to imidacloprid. In some strains, resistance was associated with an intensely-staining esterase band disclosed by polyacrylamide gel electrophoresis. However, no direct relationship between esterases and resistance was established. There was no biochemical evidence of an altered acetylcholinesterase contributing to pirimicarb resistance in these strains. Kift (2004) looked at how two different insecticide resistance phenotypes in the aphid Nasonovia ribisnigri changed its susceptibility to pyrethroid insecticides and the carbamate pirimicarb. 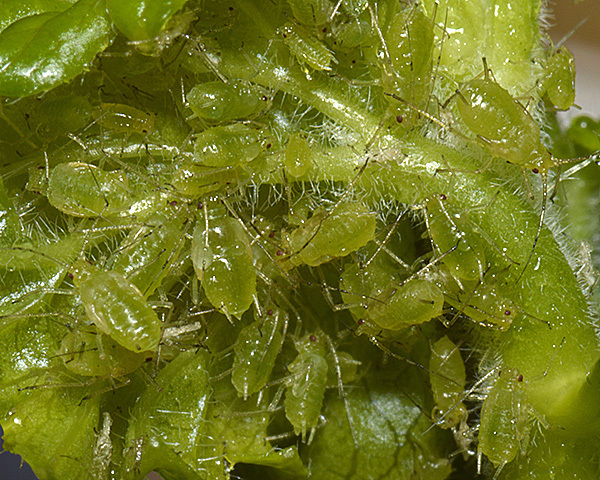 The results suggested that the effect of both insecticide resistances in Nasonovia ribisnigri would be to increase the proportion of lettuce heads with an unacceptable number of aphids on them, leading to increased rejection of plants for processing. The likelihood of insecticide resistance led to efforts to breed resistant lettuce varieties. 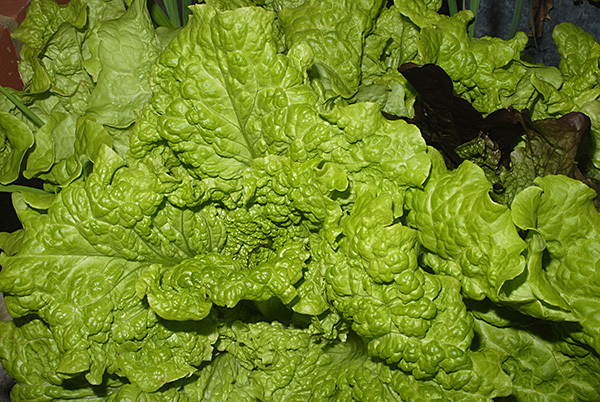 After 15 years of breeding, the first lettuce with resistance to Nasonovia ribisnigri, derived from a single gene , the Nr gene, was released in 1996 (van der Arend, 1999). Many varieties with this resistance were soon available. van der Arend (2003) predicted the emergence of resistance breaking biotypes because alternative crop protection measures, such as using chemicals and crop rotation, had been abandoned. Subsequently, ten Broeke et al. (2013) reported that, since 2007, such resistant populations have indeed been found in several locations in Europe. Because Nasonovia ribisnigri is a quarantined pest in countries such as Japan, lettuce infested with Nasonovia ribisnigri is unmarketable. As a result there have been some effort to find effective methods of controlling this aphid postharvest. Ultralow oxygen treatments have been demonstrated to be safe and effective in controlling Nasonovia ribisnigri on harvested head lettuce (Liu, 2005). However, the treatment has not been developed commercially for practical use. Liu (2012) also tried low temperature regular phosphine fumigations under the normal oxygen levels, and oxygenated phosphine fumigations under superatmospheric oxygen levels. 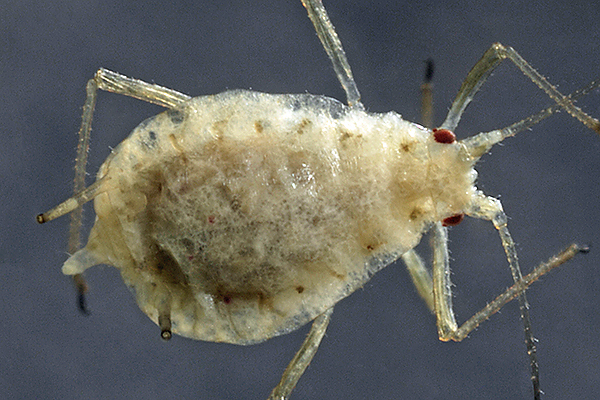 Low temperature regular phosphine fumigation was effective against this aphid. There have been many efforts to find biological control agents for Nasonovia ribisnigri, both in the glasshouse environment and outdoors. 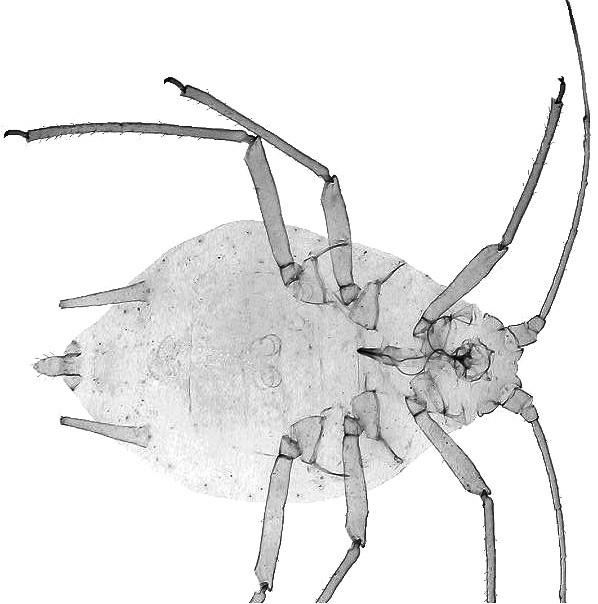 Griffiths (1960) & Griffiths (1961) demonstrated that the braconid aphid-parasite Monoctonus crepidis is specific to Nasonovia species. 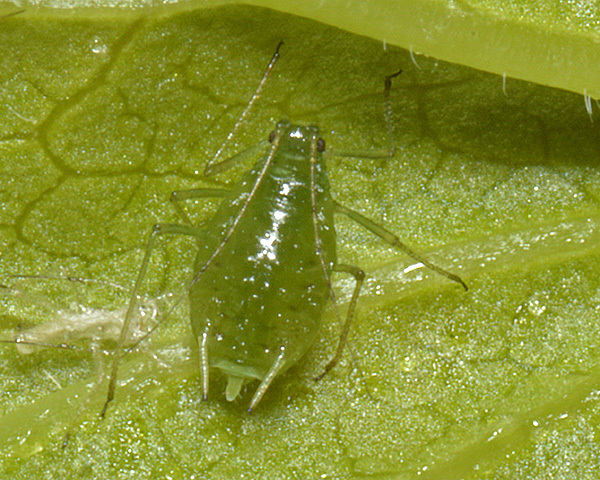 Other aphids on lettuce were readily attacked, but they responded by encapsulation and other immune reactions that killed the developing parasites. Shrestha et al. (2014) evaluated three commercially available parasitoid species: Aphidius colemani, Lysiphlebus testaceipes and Aphelinus abdominalis for their mortality impact on Nasonovia ribisnigri. They concluded that, in inoculative biocontrol programs, Aphelinus abdominalis had the better potential against Nasonovia ribisnigri. Syrphidae have attracted a lot of attention as predators of the lettuce aphid. 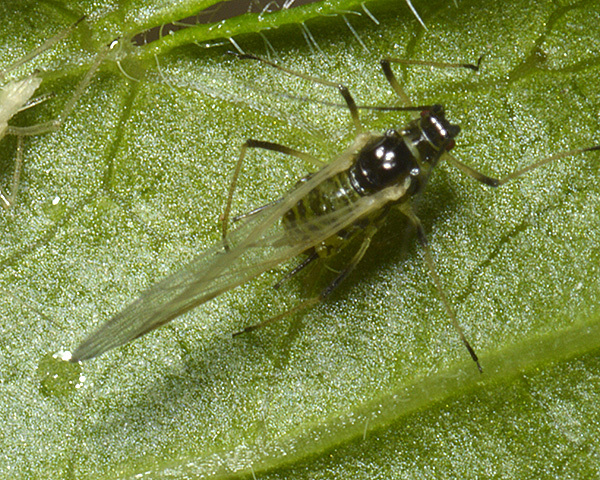 In California organic lettuce producers on California's Central Coast rely on endemic syrphid flies (Diptera: Syrphidae) to suppress populations of Nasonovia ribisnigri and other aphids affecting lettuce. Growers use various forms of habitat manipulation to enhance biological control. In 2006, Smith et al. (2007) carried out five replicated field trials to determine the importance of syrphid larvae in the suppression of Nasonovia ribisnigri and other aphids infesting organic romaine lettuce. They used Entrust, a spinosad-based insecticide approved for use on organic farms, to suppress syrphid larvae in aphid-infested romaine. Romaine treated with Entrust was unmarketable at harvest because of aphid infestation, whereas insecticide-free romaine was marketable. Syrphid larvae composed 85% or more of total predators in most trials, and they were the only predators consistently recovered from romaine that was infested with aphids early and largely aphid-free by harvest. The species mix of nonsyrphid predators varied from site to site. They concluded that syrphid larvae are primarily responsible for the suppression of aphids in organic romaine on California's Central Coast. However, since spinosad-derived insectides are broad-sprectrum, it is unsafe to assume only syrphid predators were affected by their treatment. Gillespie et al. (2011) assessed the use of floral resources planted by the grower to provide food for adult hoverflies. 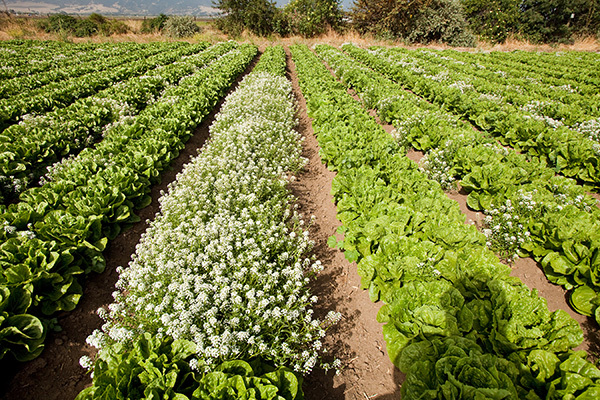 Strips of sweet alyssum, planted by the grower at 48 m intervals within organic romaine lettuce fields, were covered with agricultural frost cover to effectively double the distance between floral strips. Visual counts of adult hoverflies suggested that they reacted rapidly to the change in the local environment when the covers were applied and when they were removed. However, there was evidence to suggest that despite apparent aggregation in visual counts, hoverflies uniformly dispersed throughout the crop, regardless of the presence of covers, suggesting that floral resource provision could be reduced in this system. Hopper et al. (2011) studied the capacity of the larvae of four syrphid species in California to kill and consume lettuce aphids. Pascual-Villalobos et al. (2006) carried out a two-year field experiment in Southeast Spain to study the effect of planting strips of Coriandrum sativum or Chrysanthemum coronarium, with spring Iceberg lettuce, upon aphid and syrphid predator populations. Without chemical treatments, infestations by Nasonovia ribisnigri spread over the field in March and April. In 2001, the severity of infestations was greater (statistically significant) in lettuces from the plot with coriander margins in comparison with the monoculture. In 2002, predatory syrphid larvae were more abundant (tendency not statistically significant) on lettuces from the plot with flowering plant strips (1.9 larvae/head) than on lettuce monocultures (1.3 larvae/head). Adult syrphids were foraging on flowering strips from early winter to spring. Alomar et al. (2008) added flower patches to a lettuce field in order to ensure the biological control of aphids (Nasonovia ribisnigri) and flower thrips (Frankliniella occidentalis). Providing plant resources in the field ensured the presence of key predators: adult hoverflies were attracted and aggregated on flower patches, and predatory bugs established on the insectary plants. Being highly mobile, both predators disperse to plots without flower patches and established on lettuce plants unless limited by pesticide treatments. As a result of predator establishment, prey populations were reduced below the economic threshold. Farsi et al. (2014) determined the natural enemies of the currant lettuce aphid and their population fluctuations in Ahvaz, Iran. Nasonovia ribisnigri was reported for the first time in Ahvaz in 2008. In this study, ten species of predators, three species of parasitoids and two species of hyperparasitoids were collected and identified. 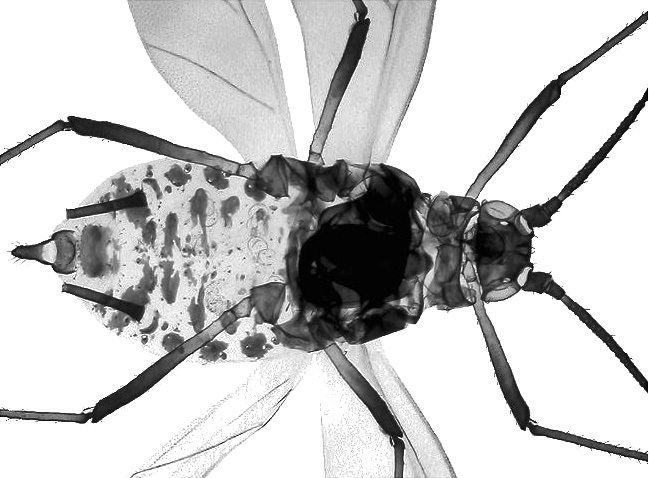 Hoverflies with a relative frequency of 55% were the dominant predators. Chrysopidae have also been considered as potential biocontrol agents. Shrestha & Enkegaard (2013) investigated the prey preference of 3rd instar green lacewing between western flower thrips and lettuce aphids. Fournier & Brodeur (1999) sought to identify a pesticide-free treatment to prevent aphid outbreaks in greenhouse lettuce crops using the entomopathogenic fungus Verticillium lecanii. In the laboratory, they first determined the effectiveness of two strains of the fungus on three lettuce aphid species (Nasonovia ribisnigri, Macrosiphum euphorbiae and Myzus persicae). 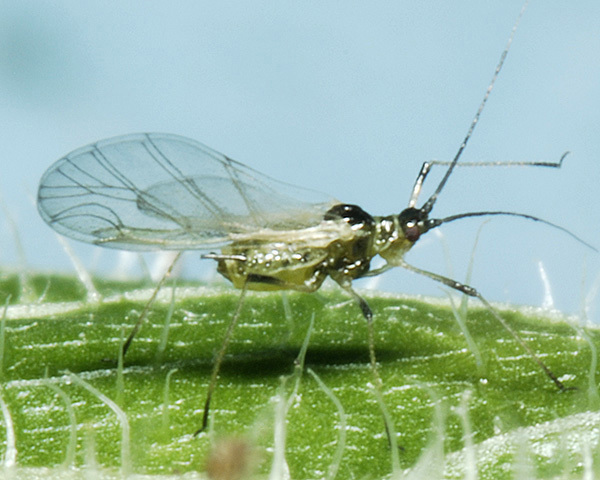 Both strains of Verticillium lecanii had a significant impact on each of the aphid species. Under greenhouse conditions, they compared Verticillium with three other treatments: BioNeem, a plant extract; Safer's, an insecticidal soap; and Malathion, an organophosphate. All treatments significantly reduced aphid populations. Vertalec was the more efficient of the two fungus strains in inducing mortality of all three aphid species. Scorsetti et al. (2009) assessed the prevalence of another pathogen Pandora neoaphidis infecting Nasonovia ribisnigri on lettuce crops in Argentina. 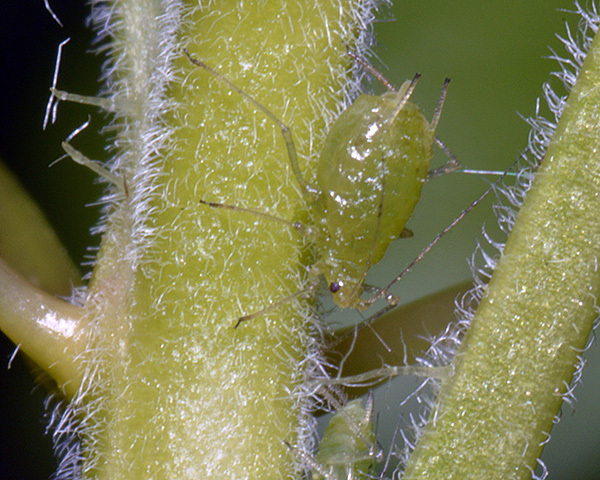 There have been various attempts to introduce integrated pest management for lettuce aphids. Parker et al. (2002) sought to implement integrated pest management in sequentially-planted crops of outdoor lettuce. The aim was to use known variations in pest phenology through the season to develop a strategic way of matching control options on different plantings to predicted levels of pest risk. Five field experiments were done in the UK over two years to test integrated pest management programmes for four aphid pest species (Nasonovia ribisnigri, Macrosiphum euphorbiae, Pemphigus bursarius and Myzus persicae) on outdoor lettuce crops. Crops were planted to coincide with different periods of forecast aphid risk. Their results suggested that acceptable levels of aphid control could be achieved, provided a full range of treatment options (resistant cultivars, selective insecticides, biocontrol agents and validated pest forecasts) could be utilised. Fagan et al. (2010) conducted field trials in New Zealand locations during 2005-2006 to determine if the synergistic effects of biological control by natural enemies and standard drenching techniques controlled lettuce aphid populations throughout the entire growing season. Chemical usage significantly lowered aphid densities in the outer, wrapper and heart leaves compared to control plants at most times. However, in mid-summer, natural enemies, such as the brown lacewing (Micromus tasmaniae), 11-spotted ladybird beetle (Coccinella undecimpunctata) and small hoverfly larvae (Melanostoma fasciatum), were more than sufficient to control lettuce aphids without the use of insecticides. Walker et al. 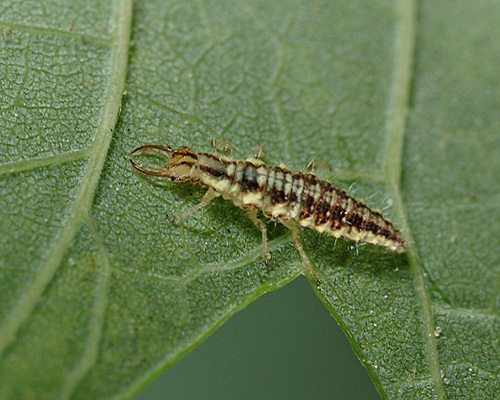 (2007) found that mortality of brown lacewing larvae (see picture above), an indigenous aphid predator in New Zealand and Australia, can result directly from contact with insecticides and/or indirectly from the consumption of insecticide-intoxicated prey. The use of imidacloprid, pirimicarb and pymetrozine for control of lettuce aphid had indirect non-target effects on Micromus tasmaniae. These effects need to be considered in developing Integrated Pest Management (IPM) systems for the New Zealand lettuce industry.